Goodland Inn delivers fine ambience and stylish stay at pocket-friendly price for various travelers, the hotel has a pleasing and warm ambience, and it makes the stay pleasant. The rooms stand out with its uniqueness and a subtle hint of brightness making it well-lit and accompanied with various facilities. Guest can avail the service of free Wi-Fi and parking for hassle-free stay. The in-house restaurant and dining area is comforting and pleasant for leisure time. 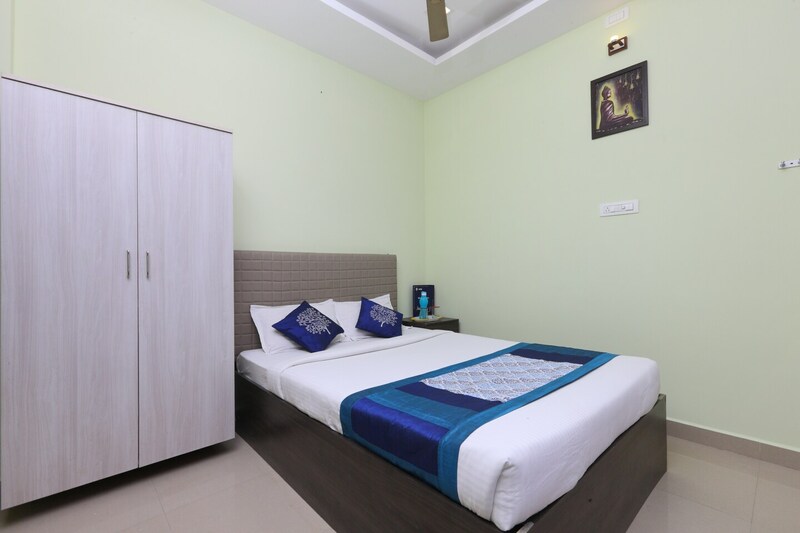 Key attractions like Arignar Anna Zoological Park, Sri Swaminatha Swamy Temple, and Krishnar Temple are nearby to the hotel.